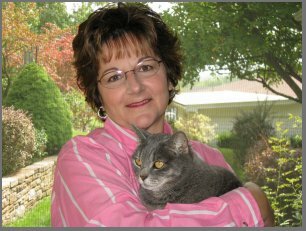 Janet M. Jackson, Animal Communicator, Certified Reiki Master Teacher and Practitioner (CRMT), is a healing energy specialist with a focus on helping people and animals enjoy more fulfilling and mutually beneficial relationships. As an advocate of animals, nature and the environment, Janet’s work with animals has inspired her to share what she has learned so that others may feel more confident when dealing with animal issues and healing. Her private practice, which is based in North Huntingdon (Irwin), Pennsylvania, includes teaching classes and providing personal consultations in energy healing work for living creatures — people and animals. As a full-time professional spiritual teacher, healer, and intuitive, Janet facilitates personal enrichment classes, workshops, and retreats at various locations including the Energy Connection Creative Healing & Learning Center in North Huntingdon, Pa., where she is program co-director, Westmoreland County Community College, and Unbridled Performance in Hookstown, Pa. She is also available to travel. A student of spiritual arts for more than 30 years, Janet has been communicating intuitively with animals for many years, practicing Reiki since 1996, and actively teaching Reiki to hundreds of people since 2002. In 2004, she developed her own class entitled “Animal Reiki” for teaching people to work with animals. She was invited to present the class at Lily Dale Assembly in New York which is known as one of the world’s largest centers for spiritual development. Janet has also studied Healing Touch For Animals; I.E.T. (Integrative Energy Therapy) for people and Animals; E.F.T. (Emotional Freedom Technique); and Transcendental Meditation. She is a certified facilitator of the Melchizedek Method of Lightbody®/Merkabah Activation through Level 5, and has been ordained into the Order of Melchizedek. 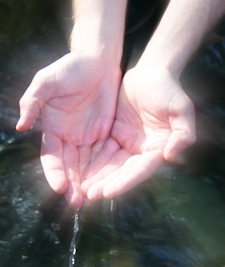 Janet teaches all levels of Karuna® Reiki. Her healing experience and abilities have been enriched by her volunteer work at shelters/sanctuaries for wild life, dogs, cats, horses and farm animals. Janet is a member of many animal groups including Physicians Committee for Responsible Medicine, Animal Legal Defense Fund, International Fund for Animal Welfare and local spay/neuter organizations. She is also invited to lecture and teach at local animal charities. The focus of Janet’s work is heart-centered and based in love. She is known by her colleagues and students for her lightheartedness, sense of humor, integrity, and great warmth as indicated by her testimonials. Janet has professionally produced four guided meditation CDs for stress relief and self healing on various topics. Janet resides in Mount Pleasant, Pennsylvania, with her devoted husband and four kitty kids. She can be reached at (724) 547-7101 or AnimalAngelLady@aol.com.